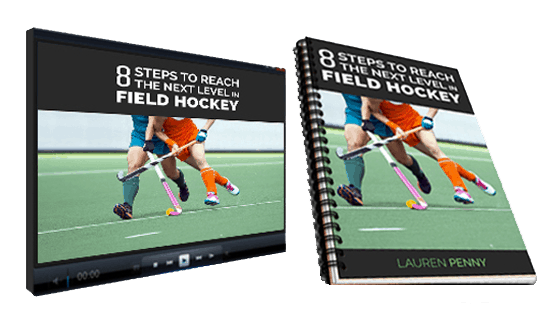 Often field hockey players can be their own worst enemy and in reality the battle begins way before you even step onto the field – it all starts in your mind. Below are just a few of the most popular mental mistakes that hockey players make which affect their hockey performance and consistency. If you are confident, you won’t become anxious. Most players leave their confidence to chance, hoping that they play well. A lot of people depend on their first touch to gain confidence and this is a very dangerous game. Don’t just let things happen to you to dictate how confident you feel, you have to be proactive and work on your confidence using mental game strategies. Some hockey players struggle to let go of life’s daily stresses, whether that is something to do school, work, family, friends, etc and it can land up affecting your mental state and your mood and ultimately your game. If you do this, you will be distracted in the game and not make the best decisions. Have you ever compared yourself to your competitors before a game? Maybe you have thought things like “look how good they are” or “they look fitter, bigger, stronger, faster, more experienced than us, etc.” This can leave you feeling like you are not good enough and don’t deserve to win. Focus on yourself and what you are capable of. What causes you to feel worry or tension may depend on a number of things and varies upon each person. Most people put an emphasis on the score or the result of a game which leads to worrying about the consequences if we don’t win or if we aren’t selected for example. You don’t want to let yourself or others down so you land up worrying about the outcome at the end, instead of focussing on what you need to do to win, play well or get selected. A lot of people especially teenagers have a need to be approved, accepted or respected by others. You spend more time worrying about not performing badly because you think it will affect what others think of you. Too many people in sport desire the approval of others which leaves them with a fear of failure; feeling scared to make mistakes and worried about embarrassing themselves. This is a recipe for pre-game nerves and mental errors. Fear of failure is often to do with thinking about not losing and not making mistakes. There are deeper roots to this way of thinking but are associated with the consequences of failure and can result in things like anxiety, tension and trying too hard. Often most people are not aware of their thinking and how it gets in their way of their performance. This is where I specialise in helping players to overcome this kind of thinking. High expectations can limit your performance and put you under unwanted pressure. If you think things like “I must score today” or “we must win” you are just setting yourself up for a win/lose situation. You either achieve it or you don’t. If you don’t achieve your expectations then you will start to question your ability. Players then judge their game based on these expectations, which are not always in your control. Just because you really want something, it doesn’t mean that it is going to happen. We all know the benefits of what confidence can do for you. Feeling prepared and ready will leave you feeling more confident and feeling confident is your main aim of your mental preparation. A lot of people doubt themselves at crucial times, which leads to players hiding and ultimately sub-optimal performances. What you focus on prior to competition and your ability to control your focus is critical for your success. Lack of focus leads to mental errors and under performing. Most goals are scored in the final 5-10 minutes of games, not from lack of hockey fitness, but from distraction or low levels of concentration. Unexpected setbacks such as injury, bad umpiring, being sent off, bad tackles, verbal abuse, bouncy pitch, the coach shouting at you, team mates blaming you, rainy conditions or hot weather for example may affect your mental state. 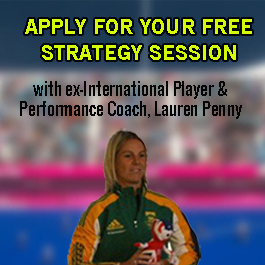 It is important that you develop strategies to cope with all the things that may frustrate you and affect your game. 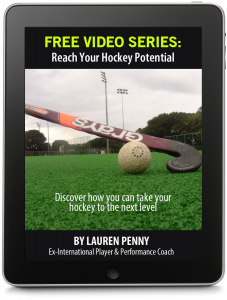 You need to be able to transform your everyday life of school, work, family and other stresses into the hockey player that is about to play the game of their life. I teach sports people how to let go of the daily worries so that you can become fully aware and engaged in your sport. We all get nervous from time to time when something means a lot to us, but it is how you respond to those feelings and whether you let them take over and rule your performance. Mental preparation is crucial if you want to reach the top of your game and it is something that you can have control over with sports mindset training. This is what the top players do – learning to control your mental state is what I specialise in helping players with.